Yum! That looks so good. Nice of you to showcase your friend's amazing ventures! Such a great fall photo! Sounds fantastic, wish we had something like that here. I love her site and what she is doing. That jam is fantastic, so simple. I also REALLY love that utensil with the pumpkins, seriously autumn and so cute. Thank you, Suzanne! I hope Farmstr spreads far and wide - who knows, maybe it'll reach Brooklyn! I picked up the pumpkin spreader a few years ago at Williams Sonoma...I love pulling it out in the fall. This jam sounds so good Hannah and perfect for this time of year! I am picking up 40# of winter squash tomorrow from Farmstr and so excited about it! Thanks, Alyssa! I hope you have fun cooking up some delicious squash dishes. I can't wait to dive in! Hooray Farmstr! Love these simple jam recipes and the natural pectin in apples! We have a company called Farmigo working in the San Jose and New York area doing something similar. It's a whole new market and distribution channel opening up. Exciting! 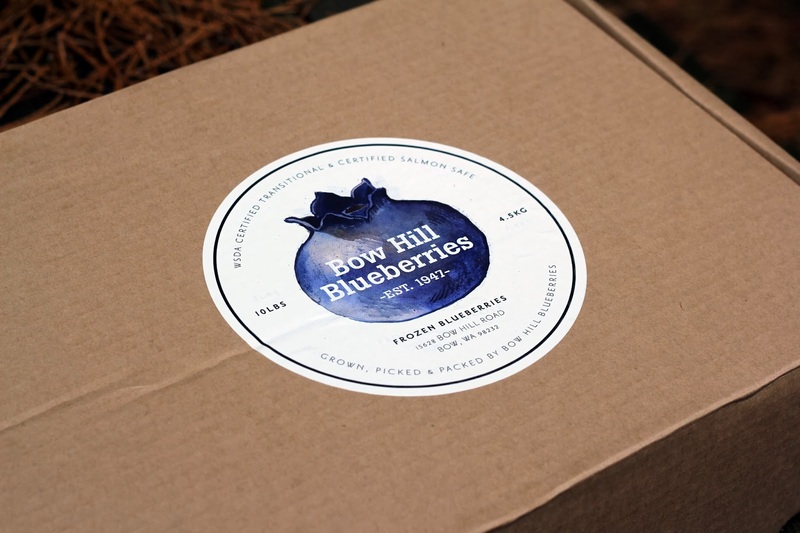 Great concept and what gorgeous berries; I am officially jealous. Oh, love your motto, Barb! Jam with a kick sounds marvelous. I still have some berries left so may try that myself. 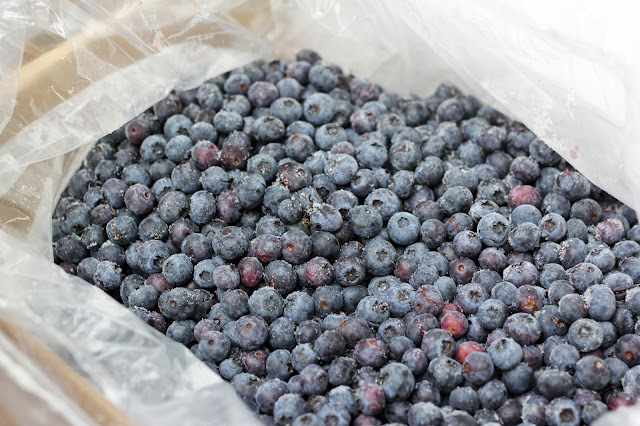 10 pounds of blueberries - lucky you! 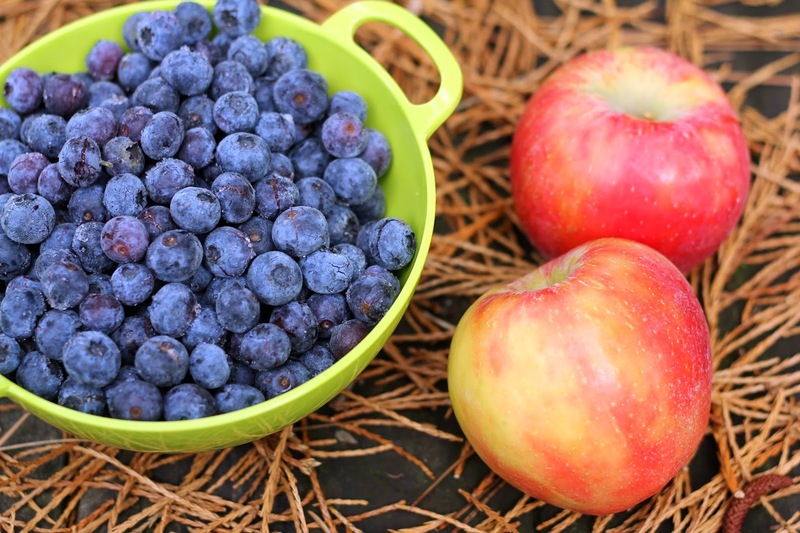 Apples and blueberries sound like a perfect early fall match. Thanks, Lynda! Now I'm thinking blueberries and apples would make one terrific pie and I still have a few pounds of berries left to play with - happy times! Forty pounds of squash will last you for a bit! And 10 pounds of blueberries? You have riches there! Blueberries combine quite well with apples (try some apples in blueberry pie, if you haven't already). This jam looks terrific - thanks. Thank you, John! I love your suggestion of blueberry and apple pie and I'll definitely give that a try. And yes, this box of squash will keep me happily cooking for quite a while! 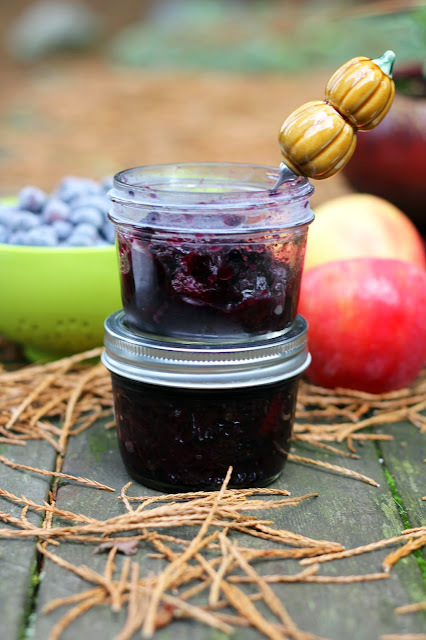 I made blueberry jam with pectin and sugar this summer. It is an excellent jam but the flavors of honey and apple and without the added pectin is so enticing! An exceptional jam! Thank you so much, Deb! 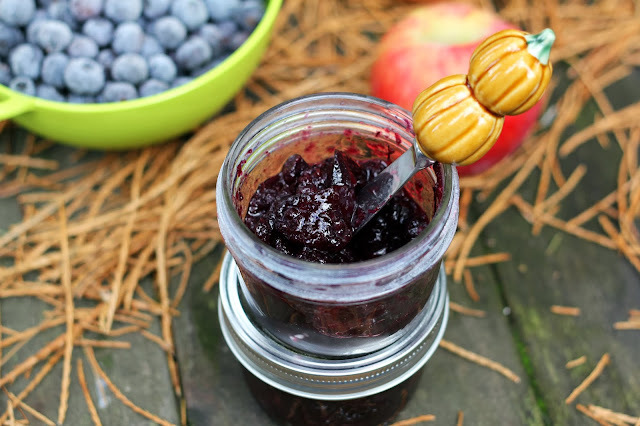 Blueberry jam is such a treat and really evokes summer. I hope you still have some of your batch left to enjoy during the winter months! Thank you Hannah! Just lovely - the recipes and kind words. So glad to know you! My pleasure, Janelle! I'm happy to share about Farmstr - you inspire me. I hope you can find some blueberries, Kyusoku. This jam works well with frozen ones, too.